A couple months ago, I shared with you how easy and thrifty Artisan Bread can be when it’s homemade. Well folks, it just got easier. 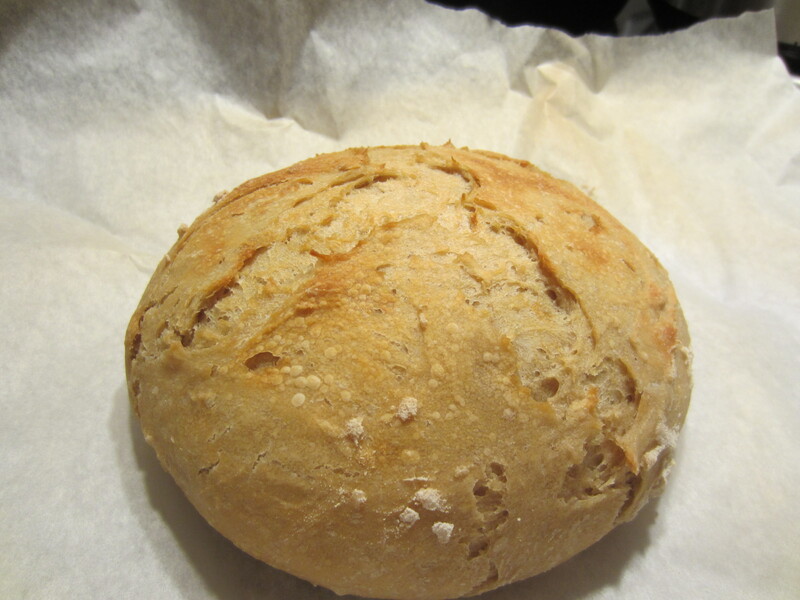 When I saw a post on Bread in Five about baking the bread in the crock pot, I was very excited. The rising and baking instructions in their original recipe can be a little intense. Now all I have to do is shape the dough and put it straight in the crock pot for an hour? Sign me up. When I shared their post on my Facebook page, you all were very anxious to see some results. So here they are. I followed their directions, setting the crock pot on Hi. 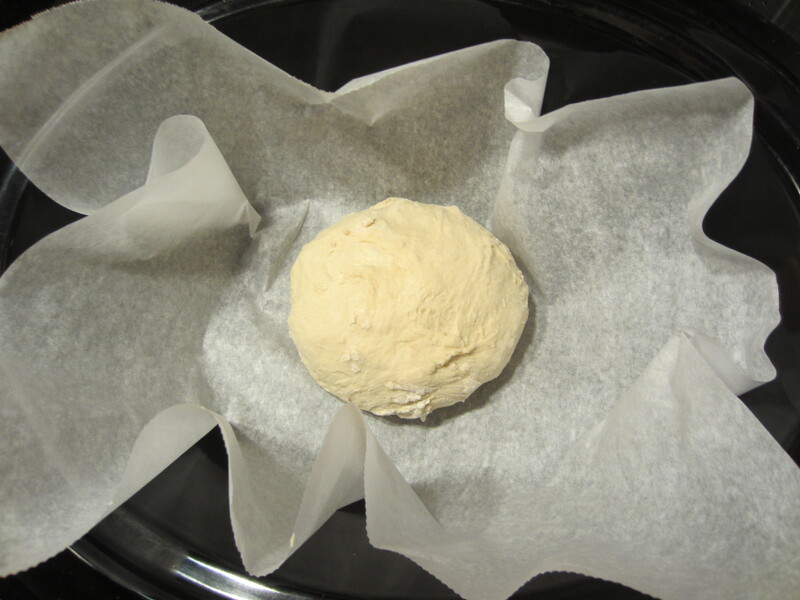 They didn’t say to pre-heat the slow cooker, but I let it pre-heat for several minutes, before I put the dough in. I checked it after 45 minutes and ended up leaving it the full hour. It seemed to rise well and look like it usually should, besides missing the brownness and crispier crust. I then broiled it on Lo for five minutes and let it cool. My friend Nikki, from Simply Striving, queried whether it would work with oil, rather than parchment paper. So, I tried it. 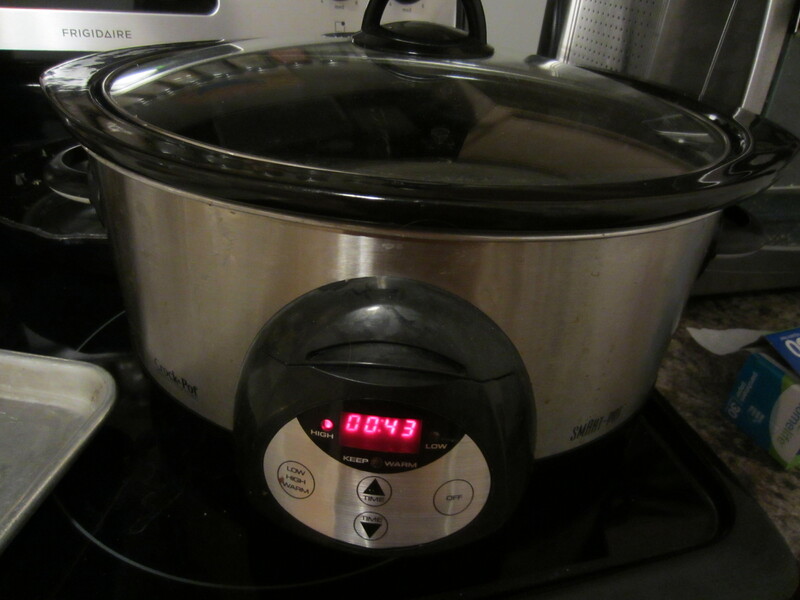 I just put enough oil in to cover the bottom of the crockpot and continued with the same process. It turned out just the same. 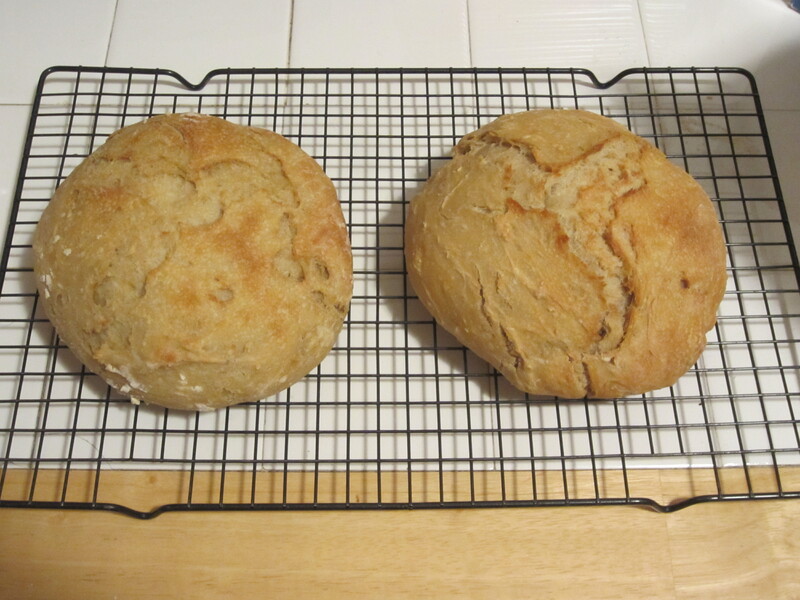 The only difference in the bread outcome, from crock pot baking, seems to be the crust. It is soft. Broiling it gives it the crisp brown crust like the original recipe, but the bottom still stays soft. This will be the way I make this bread from now on. It frees up your oven to bake the rest of your meal. It makes less heat, which is especially good in the summer months. It’s easier. 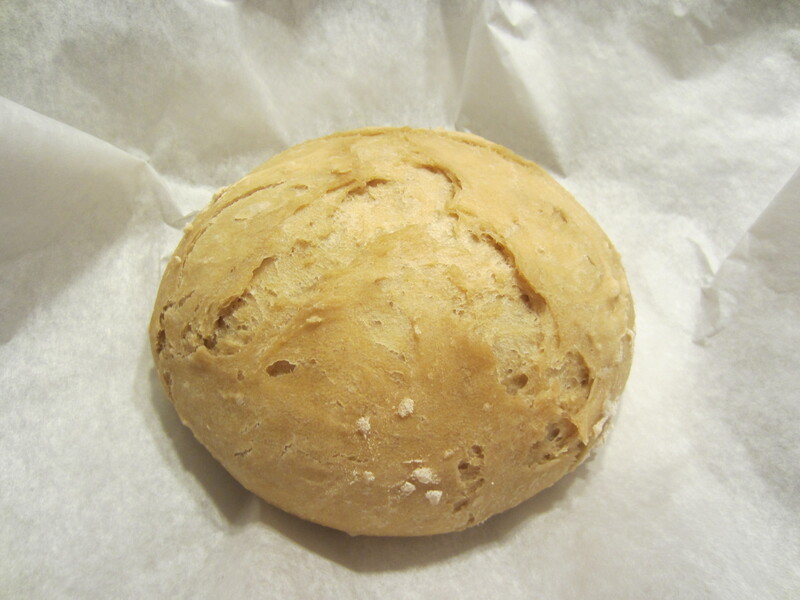 They say you can even put in the dough right after you’ve had the first rise, no refrigeration. It takes less time. You don’t have to wait for it to rise, because it rises as it bakes. I love it when my job get’s a little easier and still looks good! It’s just that easy! Glad it will be of use in your home! That looks yummy. I want to make some! Yes, you must have missed it. Enjoy!